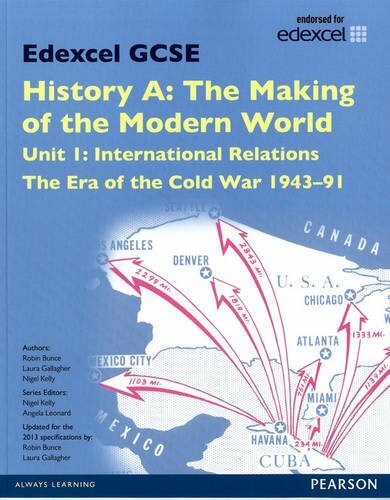 Revised for the 2013 specification, this Edexcel GCSE History A Student Book has been written to support Unit 1 International Relations: The era of the Cold War 1943-1991. Revised content thoroughly covers the material in the 2013 specification. Contemporary design, with a variety of sources throughout, appeals to students from a range of ability levels. Learning objectives provide a clear overview of what students will learn in each chapter. Activities provide extend and support material to reinforce key concepts. 'Did you know?' boxes capture students' interest. Examzone Features annotated sample student answers and revision support to help students prepare for the revised exams for first examination in 2015. Helpful tips and common pitfalls are also highlighted throughout the book.